interestingness as “the quality or condition of being interesting” (duh!) or, perhaps more importantly, “the ability to hold one’s attention.” We all want to be interested and interesting. In her book FASCINATE, Sally Hogshead refers to a study that demonstrates how “people would be willing to pay almost a week’s salary to be the most fascinating person in any situation.” And in today’s increasingly cluttered and hypercompetitive environment, the ability to get and hold someone’s attention is more important – and valued – than ever. 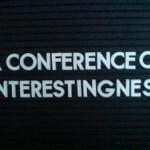 But getting beyond the dictionary definition, what is interestingness, exactly? Here is an attempt to break it down. 1. It adds value in unexpected ways. Interestingness gives us something we often didn’t even know we wanted or needed (did you ever know that you needed an ipod before ipods were invented?). It goes over and beyond. It indulges us. It enriches us. It makes us look at things in a new way. The New York Times mentions a study in which social scientists examined the qualities that makes stories go viral (ie: people find the most interesting and share and email with others). Some of the results weren’t surprising: positive stories were shared more often than negative stories, and stories that evoked emotion were more popular than stories that did not. When something shocks us, the thrill is intense – and then gone. For something to actually maintain our attention, it has to give us reasons to do so. It has to keep adding value. Indeed, a savvy consumer will buy a product or service that, although too deep initially, will allow for future growth as the user becomes more sophisticated. Two of my favorite novels are Margaret Atwood’s CAT’S EYE and Siri Husvedt’s WHAT I LOVED. The books are compelling and entertaining – but they also have depth, so that when I reread them, I discover an added layer of meaning. I move into a more sophisticated – and rewarding – understanding of the novel. Movies like THE SIXTH SENSE and THE USUAL SUSPECTS drew people back to the theatres for a second or third viewing because they weren’t just entertaining but interesting: knowledge of how the movie ends allows you to appreciate the hints and details that you missed the first time. The story grows with you. Getting past the surface appeal isn’t the end, but the beginning: there’s a whole little universe to explore. You can’t fake depth – or at least, not for very long. And in order to maintain attention, you have to maintain that person’s trust: when the trust is gone, so is that person’s attention. A fake, contrived interestingness is actually not interesting at all. Interestingness is authentic when one idea emerges naturally and organically out of the next. It’s not just a hodgepodge: it has coherency and meaning. Kawasaki points out that an interesting product has “an honest use of materials”: materials are used in a way that has logic and sense. A computer “made out of wood” might be a novelty item, but it does not have interestingness, because it doesn’t make sense. It’s not authentic. Likewise, the twist ending of a movie like THE SIXTH SENSE only works because it emerges honestly from the story, which is why a repeat viewing is rewarding. If the ending was a ‘cheat’ – if the filmmaker hadn’t prepared the ground from the beginning, weaving those hints and details, integrating them into the story, the movie would have made us roll our eyes. Spread yourself too thin, and you – spread yourself too thin. And thin is the very opposite of deep. In his book HOW TO BE A HIGH SCHOOL SUPERSTAR, author Cal Newport talks about how students with genuine interestingness will list two or three extracurricular interests; students who are not so interesting will list six or eight or ten. But the latter approach only kills that student’s credibility, because deep knowledge is interesting. Expertise is interesting. Surface knowledge – which is easily acquired — is not. Engaging in ten wildly different interests smacks of contrived interestingness, because it indicates a lack of real depth in any of them. Depth requires time, focus and commitment. Some writers will try to maintain interest by throwing everything and the kitchen sink into a story or screenplay. Their work suffers from too many scenes, too many elements, too many ideas – or, to quote a line of dialogue from the movie AMADEUS, “too many notes!” The good writers choose only a few ideas, and develop them with clarity and focus. They follow an idea all the way to its end. They allow it to develop true interestingness. You should really refer to the original version of this idea that came from Russell Davies. I’m not saying you’ve plagiarized him but your concept looks awfully close to his blog post from 2006 and refers to a lot of ideas that his Interesting conference covers. Maybe you werent aware of Russell’s post or his Interesting conferences but you should reference it here. I came across your blog through The Daily Brainstorm and I’ve liked everything I’ve looked at, but something in this post really grabbed my attention. The concept of writing for the “opening and broadening of the mind” is a great way to think about all writing. Later when you talk about authenticity in tip #3 I couldn’t help but think back to #1. If you take an old idea, but you’re authentic with it, you will still open peoples mind about said idea, allowing them to generate new connections between otherwise unconnected ideas. Thank you Aj — I love that Jarmusch quote. And speaking of stealing — Matthew, no, I hadn’t seen the Russell Davies post, so thank you for the link, I will definitely refer to him in next post (my main influence about interestingness is Cal Newport, who has blogged about it and written about it in his book How to Be A High School Superstar). Great post! I like the unique idea on what it takes to be interesting. 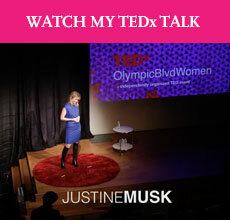 I agree with the idea of adding value in unexpected ways. When someone or something really brings about a new perspective and consideration it starts to have serious value. By being authentic and willing to open up to others, our interestingness can shine through. As well, when someone or something has depth there is so much more to be gained and learned, and it becomes much more valuable. Thanks! Some great quotables in this post. Depth can only be faked with an audience that is less deep than the presenter. It seems to me that interesting people continually stretch themselves by seeking out those that are deeper.